Diosamante HC - This graphic novel collection from Humanoids is a gorgeous fantasy tale about a cruel queen, from European creators Alexandro Jodorowsky (the fan-favorite Incal) and Jean-Claude Gal. 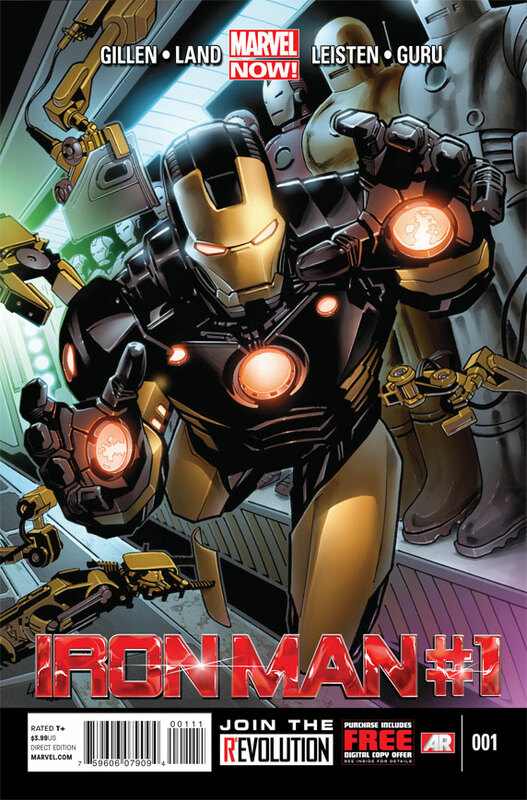 On the latest Comics-and-More Podcast, Patrick Markfort and I discuss three more titles launched as part of Marvel NOW! Rick Remender & John Romita, Jr. 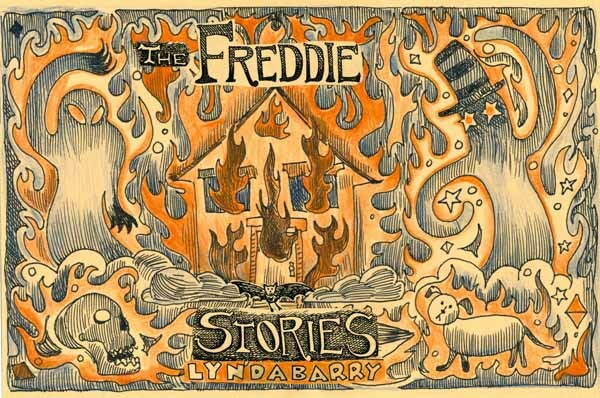 The Freddie Stories HC - Part of Drawn & Quarterly's project to collect the works of Lynda Barry, these are the Freddie stories from Ernie Pook's Comeek. 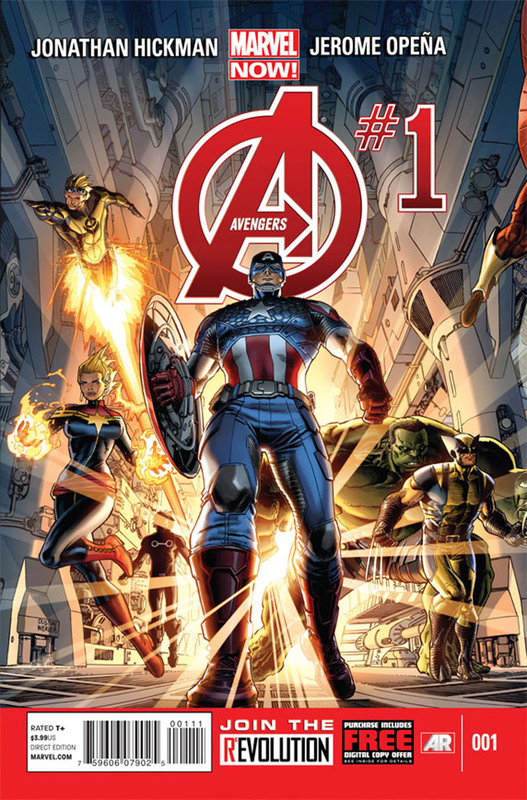 Avengers #1 - Avengers begins anew with Jonathan Hickman at the helm, and Jerome Opena on art. 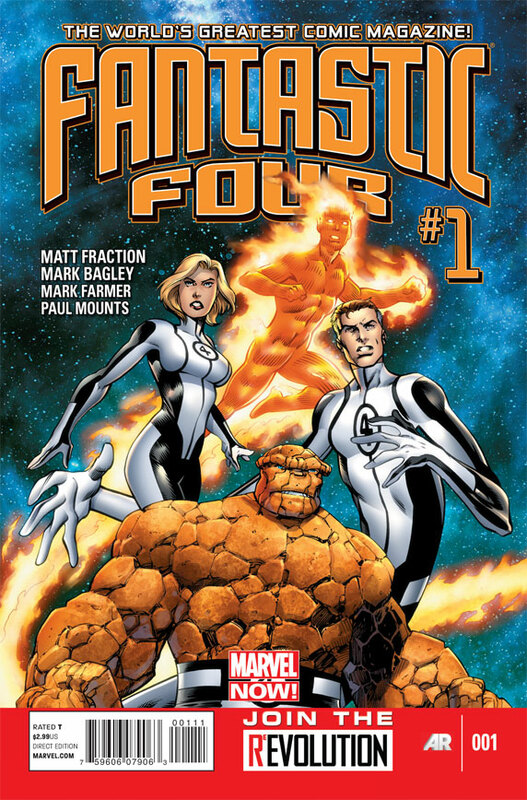 If Hickman's Fantastic Four is any indication, we're in for quite a ride. Mara #1 - Brian Wood begins a new tale here, about a celebrity with supernatural powers from a future obsessed with sports and war. 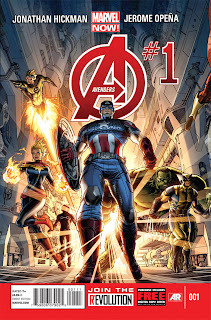 Guardians of the Galaxy: Tomorrow's Avengers (Volume 1) TP - The inevitable reprinting of Guardians of the Galaxy begins, featuring the clasic characters that probably won't be seen in the movie anyway, but kicked off the franchise: Vance Astro, Yondu, Martinex and Charlie-27. Hellboy In Hell #1 - Mike Mignola returns to his creation to draw a new story, kicking off an ongoing adventure. 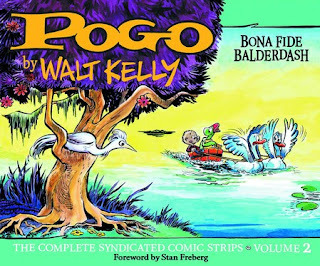 Fantagraphics Reprints - Fantagraphics continues reprinting classic comics in December, releasing some notable new volumes including Pogo (Volume 2): Bona Fide Balderdash HC, Nancy Likes Christmas: Complete Dailies 1946-1948, and another EC Comics reprint, "Taint the Meat...It's the Humanity!" and Other Stories, collecting all of Jack Davis' EC work on Tales From the Crypt. Sleeper Omnibus HC - The entire fan-favorite series by Ed Brubaker and Sean Phillips is collected in a new omnibus edition. Thunderbolts #1 - Daniel Way and Steve Dillon take on the bad boys of the Marvel Universe in this relaunch of Thunderbolts, part of Marvel NOW! 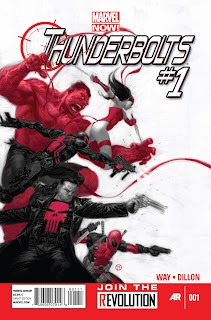 Featuring a new team: Red Hulk, Elektra, Deadpool, Venom and Punisher. Neon Genesis Evangelion: Comic Tribute TP - In this anthology, the world of Evangelion is twisted by creators in a one-of-a-king tribute collection. 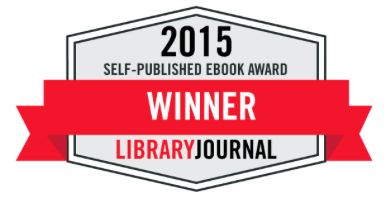 Featuring the minds behind books like Loveless, Sgt. Frog and Portus. Cable and X-Force #1 - Who knew that one day we would have two ongoing X-Force books? Thanks to Rick Remender's incredible run, there's apparently enough demand to do just that, this one being a more traditional X-Force book, complete with Cable. Hiroaki Samura's Emerald and Other Stories TP - The creator of Blade of the Immortal is presented in this collection with seven short stories, sure to be beautifully-illustrated. 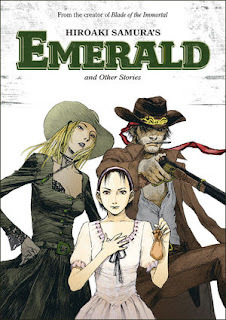 Kaoru Mori: Anything and Something HC - More stuff from Kaoru Mori, creator of the beloved Emma and A Bride's Story manga series. Teenage Mutant Ninja Turtles: Secret History of the Foot Clan #1 (of 4) - This new TMNT mini-series tells the story of the original founder of the foot clan. Avengers Arena #1 - Many young heroes from the Marvel Universe are pit against one another in a fight of survival, where only one will live. 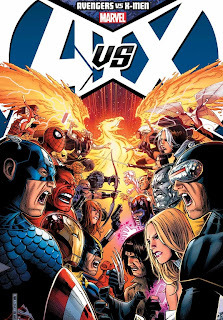 It's Hunger Games, Battle Royale, etc, Marvel-style, featuring junior superheroes from books like Avengers Academy, Runaways and other various places. 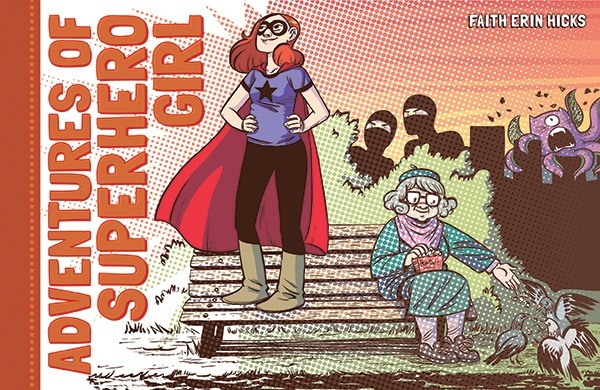 Adventures of Superhero Girl HC - Originally printed weekly in a newspaper in Canada, Faith Erin Hicks introduces new readers to a young super girl in a lighthearted all-ages story of superheroics. Vladimir Tod: Eighth Grade Bites GN - Another teen series gets the graphic novel treatment, this one from Heather Brewer's hit vampire series, adapted with art by Julia Laud. Dragons: Riders of Berk #1 - A new comic featuring the characters from the hit movie How To Train Your Dragon. Library of American Comics Essentials (Volume 1): Baron Bean HC - IDW debuts its new line of comic strip reprints, part of its Library of American Comics imprint, beginning with a strip by Krazy Kat's George Herriman. 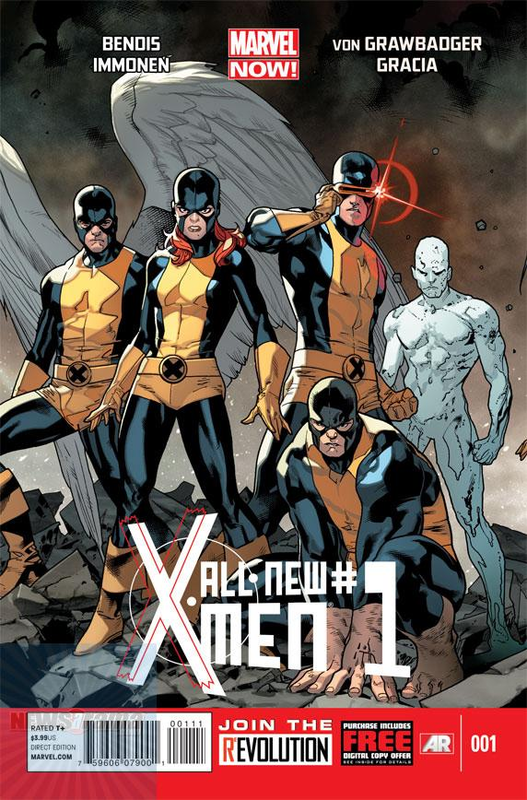 On the latest Comics-and-More Podcast, Patrick Markfort and I discuss four new titles launched as part of Marvel NOW! 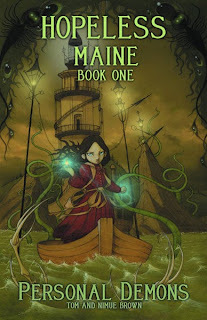 Hopeless Maine (Book 1): Personal Demons HC - There's a lot of good stuff coming out this week, but I've been watching for this one's release for a while now. Tom and Timue Brown's fantasy webcomic sees print in this hardcover edition from Archaia. 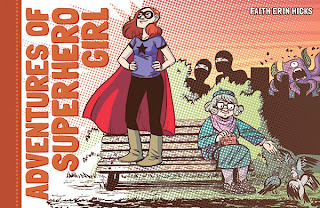 Let's hope this is another Gunnerkrigg-quality series. 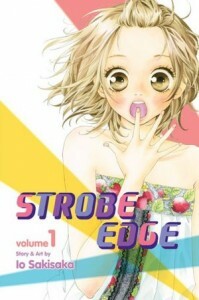 Strobe Edge is a new shojo manga from Viz, that follows a young girl trying to understand what love is. Ninako Kinoshita is a bit clueless as a protagonist, which can make for a good story, but it's kind of unbelievable how far gone she is here. She's a pretty passive character, taking in the advice of her friends and listening to them tell her how she should feel. 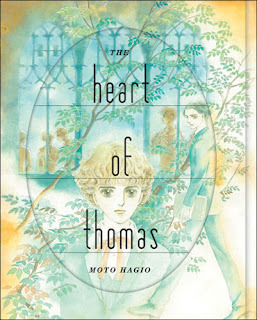 As the first volume of this series moves along, she begins to think for herself more and makes decisions regarding her life, which makes her more likable, but you can't help but think that the guy she's pining over deserves far better by that point. Her childhood friend, Daiki, has been in love with her for a long time and everyone in Ninako's class (aside from her) know this and are rooting for them to get together. But she suddenly finds that the way her friends describe love is how she is feeling toward the guy that every girl in school has a crush on, the unattainable school idol Ren, a stoic guy whom Ninako has the fortune to have a few run ins with to keep her dream alive. I hate to say that Ninako is pathetic in this story, but Satisaka isn't doing much of a service to the character portraying her the way she is, as a character who sits back and just sort of lets things happen. At the same time, everyone has had that unattainable crush, so people will certainly relate to this story, and you can't help but want to see how events unfold. Strobe Edge certainly isn't delving into new territory or anything, but it's a cute romance story, illustrated well, in a quiet story of high school love. Despite its many flaws, it's hard to completely write it off. 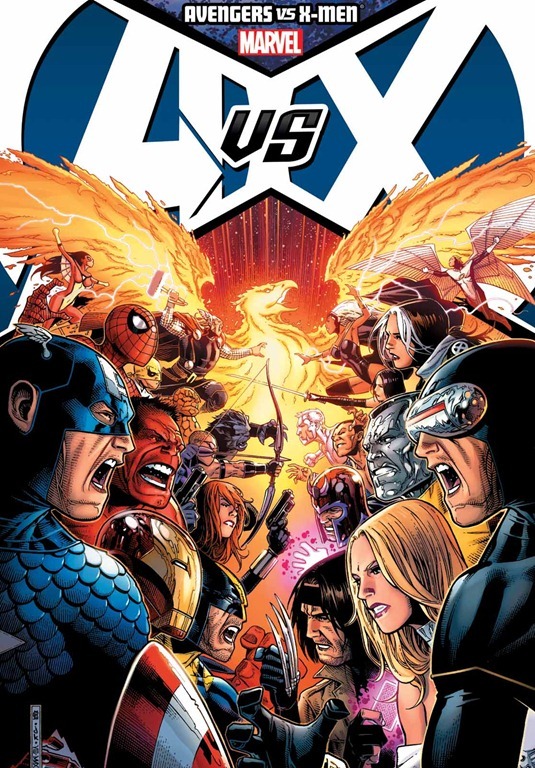 Avengers vs. X-Men HC - In case you missed the floppies and only followed the story through spoilers online, you can now experience the entire saga as the Avengers duke it out with the X-Men over the power of the phoenix force. 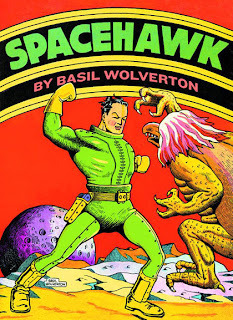 One of the better crossover events I've read in comics in recent memory. 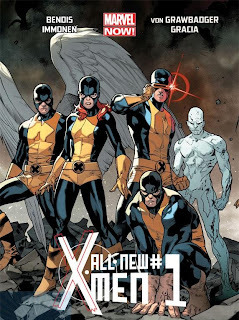 All-New X-Men #1 - This new X-Men title sees the original five X-Men dropped into the present day, from the mind of Brian Michael Bendis and the hand of Stuart Immonen. 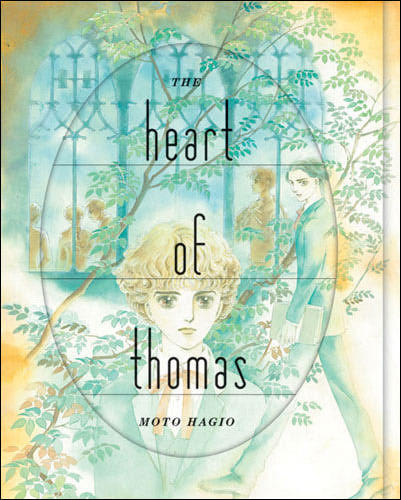 The Heart of Thomas GN - Moto Hagio's acclaimed classic manga set in a German all-boys boarding school. My Little Pony: Friendship Is Magic #1 - There's surprisingly a lot of hype around this all-ages comic based on a girls' cartoon from the 80's, but if rumors of pre-order numbers can be believed, this could be one of the biggest comics of the month. 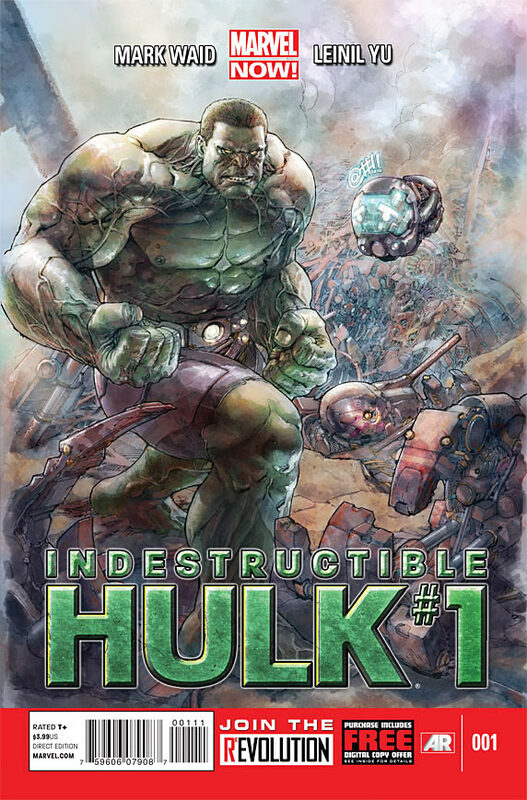 Indestructible Hulk #1 - Part of Marvel NOW!, this is a new Hulk comic from Mark Waid and Leinil Francis Yu. Teen Titans by Geoff Johns Omnibus HC - The Green Lantern scribe's run on Teen Titans is collected in a huge hardcover for $150 - that's 1,440 pages of Robin, Raven, Beast Boy, Cyborg and the gang. Neon Genesis Evangelion 3-in-1 Edition (Volume 1) - Before the simultaneous world-wide release of the final volume of the manga is released, get caught up on the manga series in these new omnibus volumes. Fantastic Four #1 - Some big shoes have been left to fill now that Jonathan Hickman has left the title, but Matt Fraction and Mark Bagley seem like a good fit for this book. Buffy the Vampire Slayer: Willow - Wonderland #1 (of 5) - As part of Buffy the Vampire Slayer: Season Nine, Willow gets her own tale. Orbital (Volume 1): Scars GN - A science fiction European comic from Sylvain Runberg and Serge Pelle. FF #1 - Matt Fraction is also writing the sister book to Fantastic Four, with stand-ins for the team, including Ant-Man, Medusa and She-Hulk, with art by Mike Allred. MAD: Artist's Edition HC - Written and edited by Harvey Kurtzman, this artist showcase will feature some amazing talent such as Wally Wood, Bill Elder and Basil Woverton. Spacehawk SC - The complete stories from Basil Wolverton. 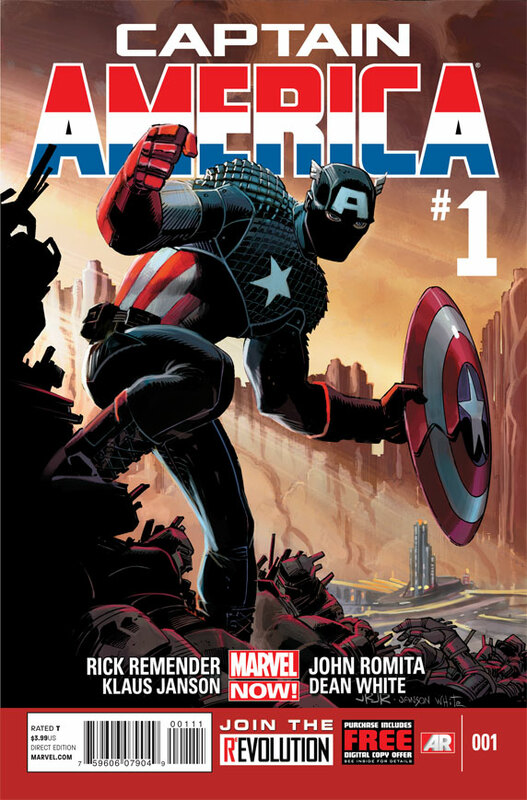 Captain America #1 - A new direction for the avengers from hot writer Rick Remender, and the amazing John Romita Jr.
Torpedo (Volume 1) HC - Reprinting a classic crime noir comic. 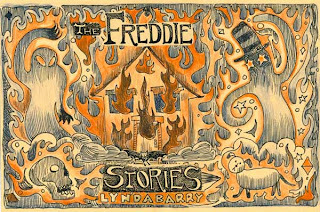 Star Bright abd the Looking Glass HC - Jonathan Luna tries his hand at prose fiction, with this fairy tale featuring 33 water color illustrations. X-Men: Legacy #1 - While series writer Simon Spurrier remains on writing chores for the relaunch of this title, Rogue's story is over, making way for the interesting choice of Legion to head this book. 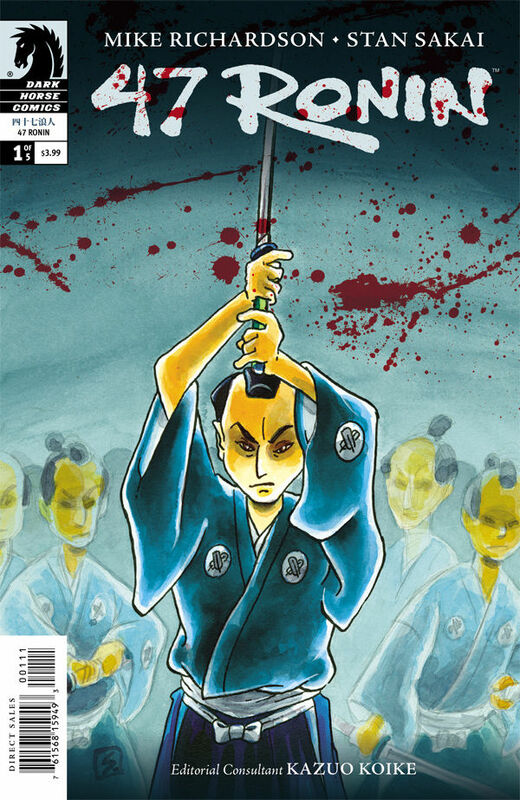 47 Ronin #1 (of 5) - A non-Usagi Yojimbo mini-series illustrated by the talented Stan Sakai, relating a classic Japanese tale. The Comics Journal #302 - The annual behemoth, edited by Gary Groth, features interviews with the late children's picture book artist Maurice Sendak (Where the Wild Things Are), and plenty of other goodies. 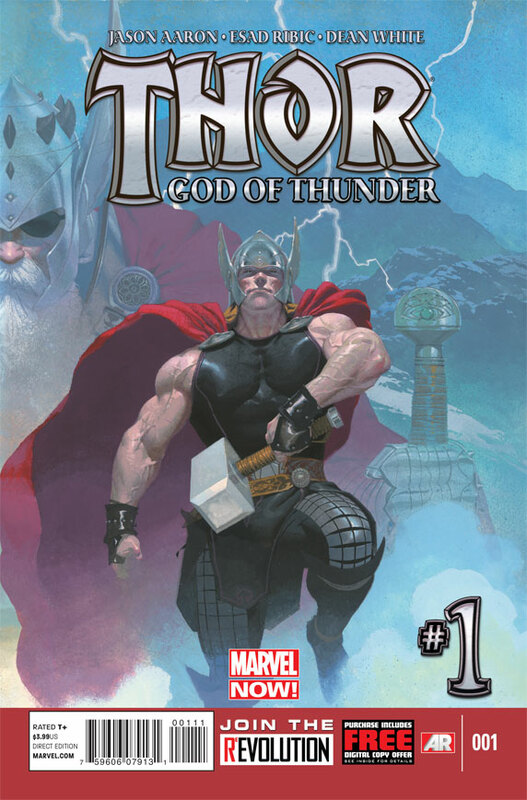 Thor: God of Thunder #1 - Another Marvel NOW! 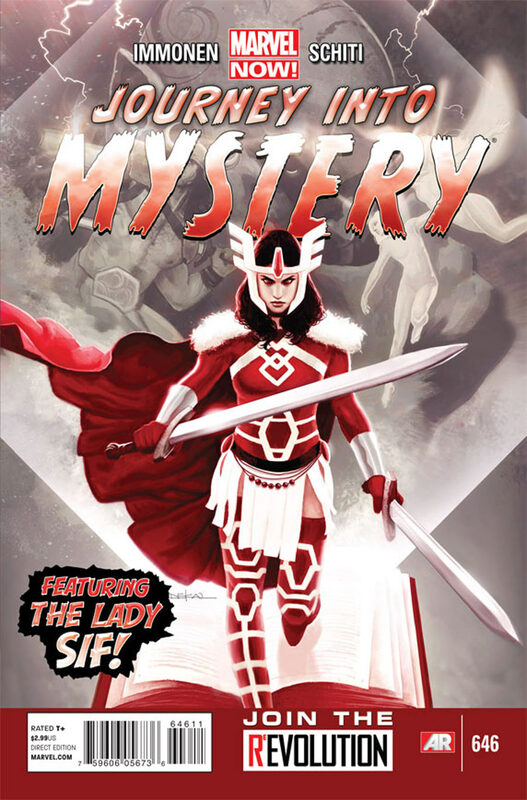 title, this one from Jason Aaron and Esad Ribic. Judge Dredd #1 - In wake of the movie, a new ongoing series is launching from IDW this month. Also available this month, Judge Dredd: The Complete Brian Bolland HC. Diary of a Wimpy Kid (Book 7): The Third Wheel HC - Showing no signs of waning popularity, Jeff Kinney's kids' comic is sure to be one of the biggest graphic novels of the year. Journey Into Mystery #646 - Like X-Men: Legacy, the focus of this title changes this issue as writing chores shift into the hands of Kathryn Immonen, and Sif takes center stage in place of Loki. 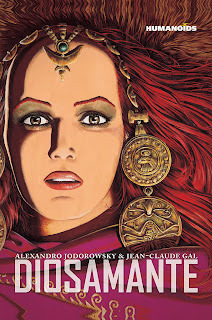 The Adventures of Augusta Wind #1 (of 5) - J.M. 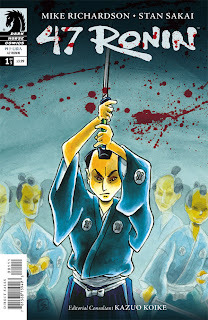 Dematteis, author of Abadazad, creates a new all-ages fantasy title for IDW. Barnaby (Volume 1) HC - Beginning a complete collection of the newspaper strip from Crockett Johnson, creator of Harold and the Purple Crayon. X-Force Omnibus (Volume 1) HC - That's a lot of Rob Liefield under one cover, collecting much of the revolutionary title. Tales of the Teenage Mutant Ninja Turtles (Volume 1) TP - Okay, they have to reprint The Mighty Mutanimals if they're reprinting stories from this anthology series. The Cartoon Utopia HC - New Ron Rege Jr from Fantagraphics. Captain Marvel (Volume 1): In Pursuit of Flight TP - The first six issues of the new series featuring Carol Danvers already has a collection coming out in case you missed the floppies. Danza GN - A new manga from Natsume Ono being collected from Kodansha Comics.